After 10 weeks ... the elusive 25 year old Clint Bobo finally makes a media appearance on a "major" network and clarifies NOTHING about the morning he allegedly witnessed his sister being either "dragged" across the carport by a stranger as per the official TBI media release of April 13th or ... "walking" into the woods with who he perceived to be her boyfriend as per TBI John Mehr in a press briefing on April 16th. Natalee Holloway has been missing for six years and ... for six years her mother has been a media presence ... a media presence that will not allow her precious daughter to become a distance memory. Karen and Dana Bobo had a press conference one day following their daughter's disappearance two months ago and then ... silence. Why? I sincerely do not understand ... do not understand the low profile of Holly's parents and the non-existent profile of her 25 year old brother ... her 25 year old brother who was the only witness to his sister's disappearance. I'm the parent who got the dreaded call. The parent no one wants to be. The one whose phone rang out of the blue in the middle of the day, and the voice on the other end said, "Your daughter is missing." I'm that desperate mother on TV holding up pictures of her missing child, pleading for help, describing the details surrounding an unthinkable crime. My daughter is Natalee Holloway. She disappeared in Aruba on the last night of her senior-high graduation trip in 2005 and hasn't been seen since. I never imagined that would be "that parent," living an endless nightmare in front of the whole world. But was, and I still am, because I will always search for her. I will forever be Natalee's mom. Could it be that Dana, Karen and Clint are no longer cooperating with TBI? Could it be that without evidence, confession or a body ... the Holly Hobo case will become cold? Think of Kyron Horman. Think about Hailey Dunn. Think of Susan Powell. Think of the Stacy Peterson. Think about the Alexander, Tanner and Andrew Skelton. All these persons are missing. All unofficial POI are family members. However ... justice remains elusive. I don't think it is Clint but it is sort of hard to tell. I was thinking it was one of Dodd's girlfriends brother....but I am not sure. I think I had posted a link in the photo thread of several hunting pics of Clint and Drew together. I will go back and look to see if that is where it was posted. This is the myspace of Holly's friend (Brittany) , that was in the video most of us saw of Holly and two girls singing inside a car. At this site is not only the video we saw early on, but another one of the three girls singing. Also, under "photos", are several albums with many many pictures of Holly. Attachments are turned off here so I can only leave the link. I also still have pics of Clint, Drew and Lee Baugus (on my computer). However ... I don't do Facebook. It is not private so anyone can view. You do not have to be a member of myspace to see these pictures. On facebook, you might have to be signed in to view if it is not a public page. But on myspace, just click on the link. 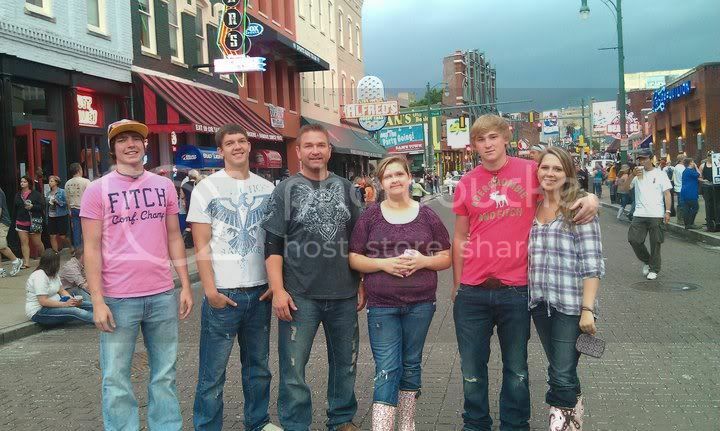 the first guy in the pink shirt is not her brother, the second guy is. she only has 1 brother. 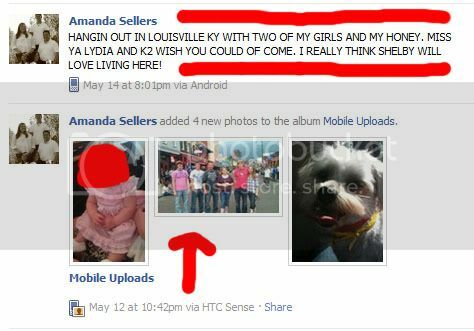 this is kerry sellers myspce, dont see anyone he knows that looks like the guy in the pic. Im thinking the guy in the pic is colton robbins, looks like he is myspace friends with kerry and that he has the same necklace on in both pics..
That picture, was it TAKEN on May 12th? Its on Beale Street in Memphis. Ive frequented Alfreds in the background many times. Crazy. Only about two hours from where I live. DECATUR COUNTY, Tenn. - It's been 10 weeks since nursing student Holly Bobo disappeared. And now, her family is speaking out. "I'm getting by, day by day. Doing ok," said her brother Clint Bobo in an exclusive interview with WBBJ in Jackson. Clint Bobo last saw his sister being led into the woods near their Decatur County home by a man wearing camouflage. She hasn't been seen since. cartfly ... this is why I cannot more on in my speculations. Could it be that the deafening media silence for over two months in regards to Clint, Karen and Dana implies the family knows the truth and ... is hoping that Holly Bobo case becomes a distant memory? Could it be that the deafening media silence from TBI as well as suspension of official searches implies that investigators strongly suspect the truth but without a confession ... without a body and ... without evident the justice process is hindered?